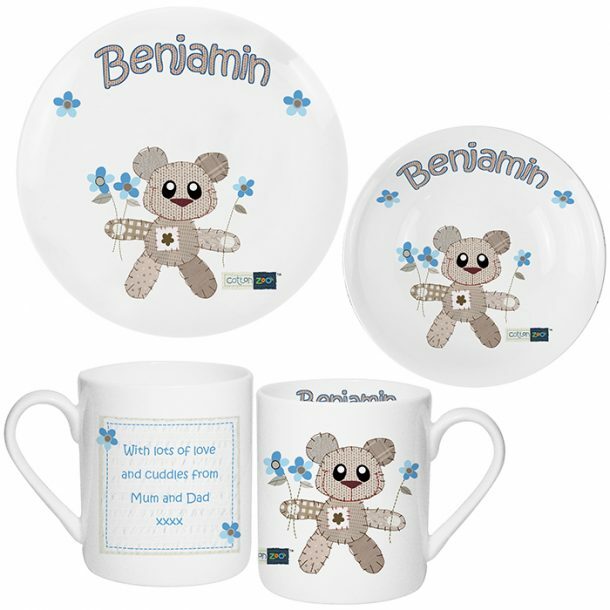 This Personalised Cotton Zoo Breakfast Set – Tweed Boy is a perfect gift for any little boy. A set that consists of a plate, bowl and mug all made from bone china. 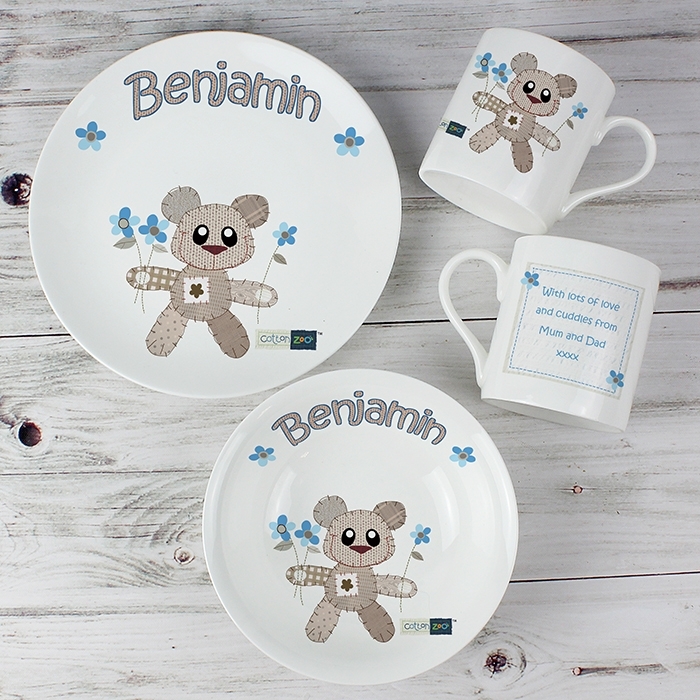 Beautifully illustrated with Tweed the bear, the set is then personalised with any 12 character name on each item. 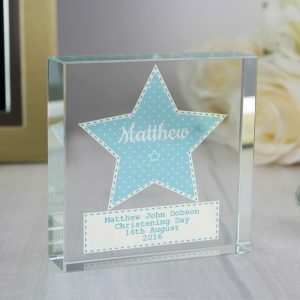 Personalising the set will ensure mealtimes are fun, and will also help him in the recognition of seeing and learning how to spell his own name. 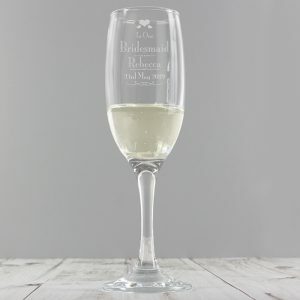 The mug will also feature a personal message on the reverse. An utterly adorable set that’s presented in a folding gift box, so the wrapping is more or less done for you. A gorgeous breakfast set that will make a lovely Christening gift for a baby boy, an ideal 1st Birthday present or a gift for a son at Christmas.